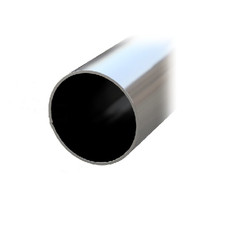 Pioneers in the industry, we offer stainless steel welded pvc coated tubes from India. We are distinguished firm in the industry, delivering Stainless Steel Welded PVC Coated Tubes that are fabricated with perfection. This is treasured among the clients for exceptional finishing, high tolerance capacity and wide usage. They can be easily installed in the required machinery and maintains power pack performance. Owing to its exceptional attributes and stable applications they are able to meet the requirements in systematic manner.